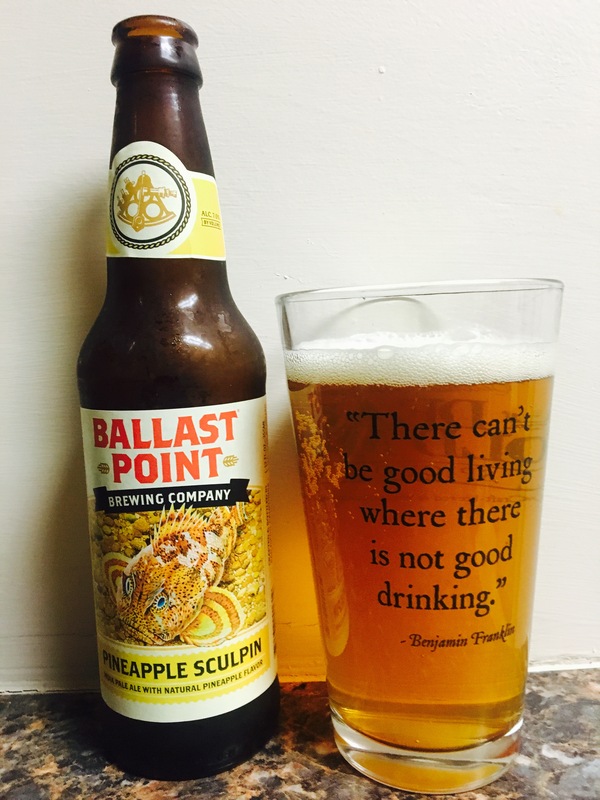 Ballast Point is firing on all cylinders this year! Wow! Another great tasting “fruit” inspired summer beer. The pineapple smell intrigues you and then the taste is not overwhelmingly pineapple but just right. The 7.0% Alc content is an added value as always. This is another home run for this brewery. 4 stars.